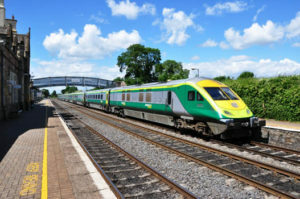 Alcoholic drink will be banned on more train services from Dublin to Galway and Westport after Iarnród Éireann said it has received “persistent complaints from customers about regular instances of anti-social behaviour connected to excessive alcohol consumption onboard”. The alcohol ban will come into effect on October 12, and customers boarding these services in possession of alcohol will have it confiscated and no alcoholic beverages will be sold by catering staff on the trains. Details of the alcohol ban will be clearly displayed at stations and customers booking online will be notified during the reservation process.